A 100% natural, mineral based loose powder that is strictly cruelty free. Featuring a creamy texture, these highly pigmented powders are easily blendable and can be used wet or dry, to easily take your look from subtle to dramatic. This is a new brand to me, which have bases in both England and Australia. The pot is tiny for the price, however the eyeshadow is 100% natural, which unfortunately you tend to pay a premium for! 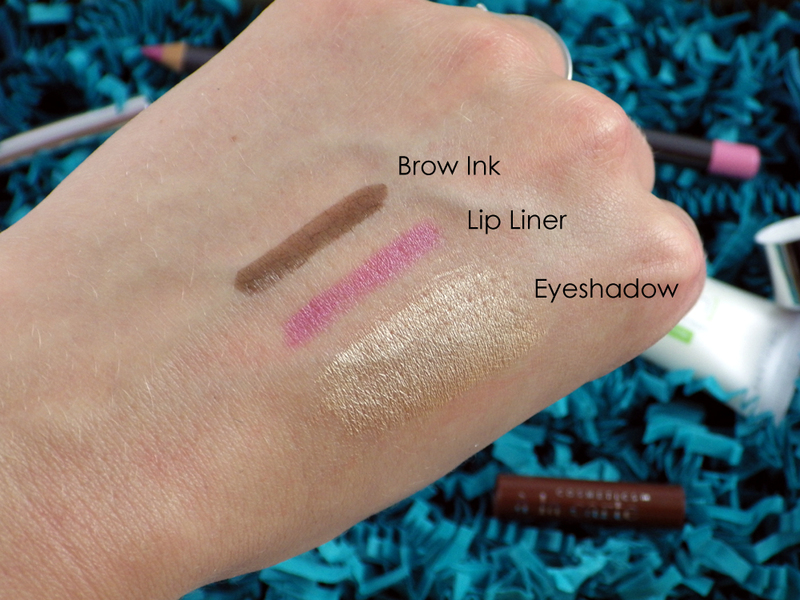 The colour is seriously pigmented so a little goes a very long way and it feels buttery soft. The shade looks quite bronze in the pot, but is more gold toned on the skin. Something I will definitely get use out of. Precision, skinny tip pen for painting in individual hairs. 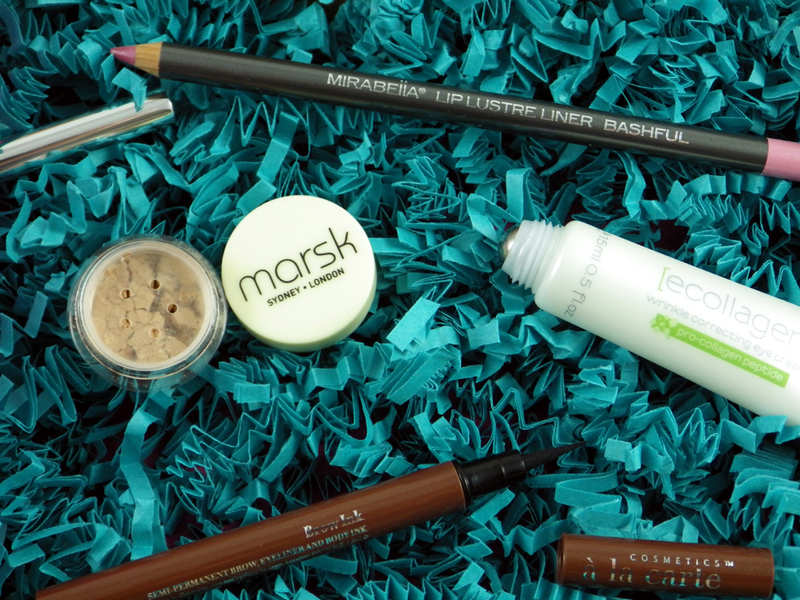 Water-based and smudge-proof for eyebrows, eyeliner or semi-permanent body art. Unfortunately this shade is not going to be suitable for a lot of people, although if you have very light brown hair you may be able to make it work. Again another pricey product, but this brow ink did not budge from my hand when I swatched it and tried it to rub it off (without water). Powerful, lightweight Ecollagen eye care, the first to be enriched with Plant Stem Cell extract to help stimulate collagen production and re-plump wrinkles from within. 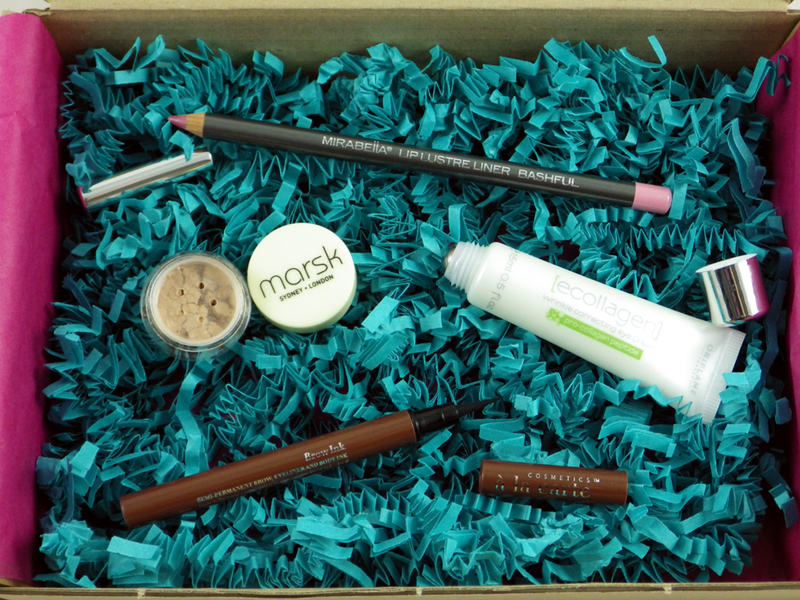 Also addresses dark circles and puffiness. My current eye cream is nearly at its end so I was glad to see this in the box. However calling it a "cream" is a little deceiving I think; well I was surprised to open it and find it has a rollerball application anyway! It claims to do some powerful things, so I look forward to trying it. Easy to blend and layer, with Aloe Vera to keep lips soft and application comfortable. The long wearing shiny finish creates the perfect base for lip gloss formulas. Another previously unknown brand to me, Mirabella are an American brand. Bashful is a pretty, lilac toned pink with a faint hint of shimmer and a very pigmented, creamy formula. 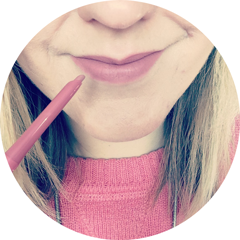 I don't really wear lip liner but Gemma from Miss Makeup Magpie said that this works really well under MAC Creme Cup, so I will be keeping it to pair with my favourite lippie. 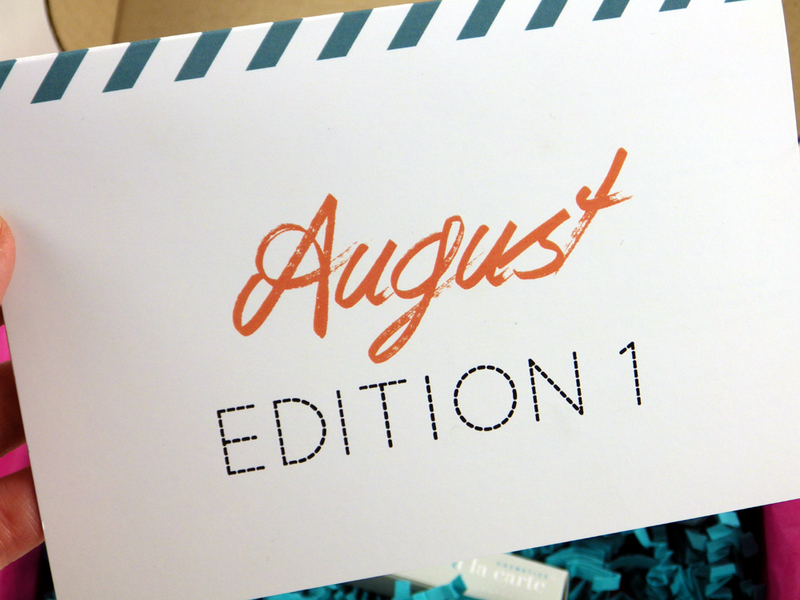 I do admit I wasn't too excited about this month's box initially, but Love Me Beauty have treated us with four full size, high end products that ooze quality, so I'm more pleased with it than I thought I would be! The products are worth a massive £64.94 in total, with the box only costing £10.00 plus p&p, so a very worthwhile buy. 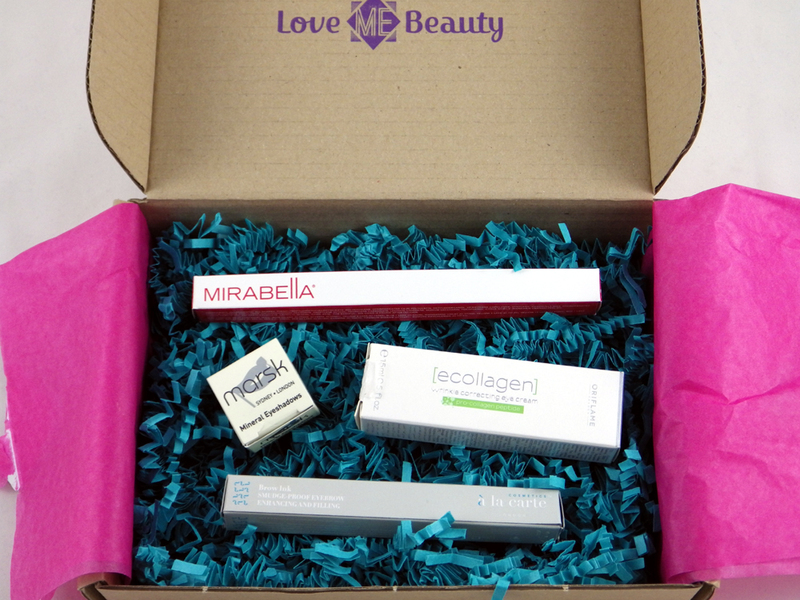 To find out more about Love Me Beauty or to order your own box, you can visit their website here. What do you think of this box? 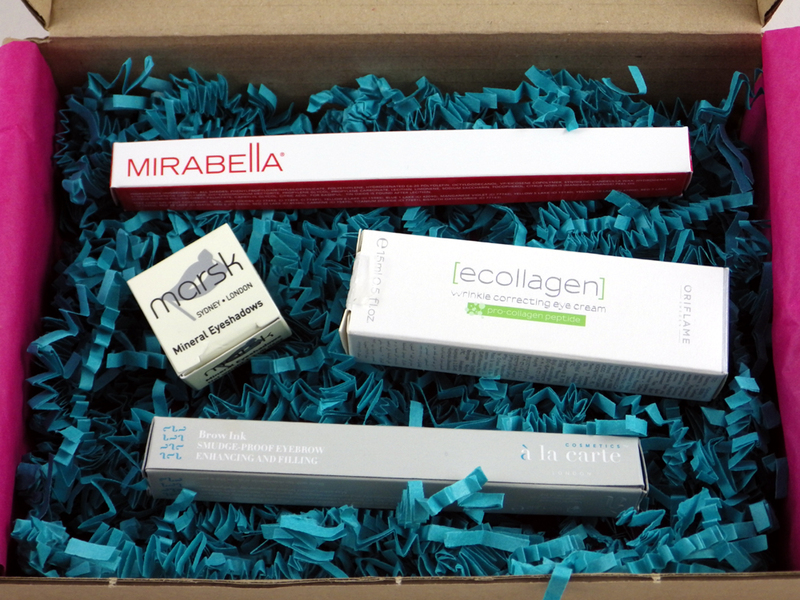 Have you tried any of the brands included?